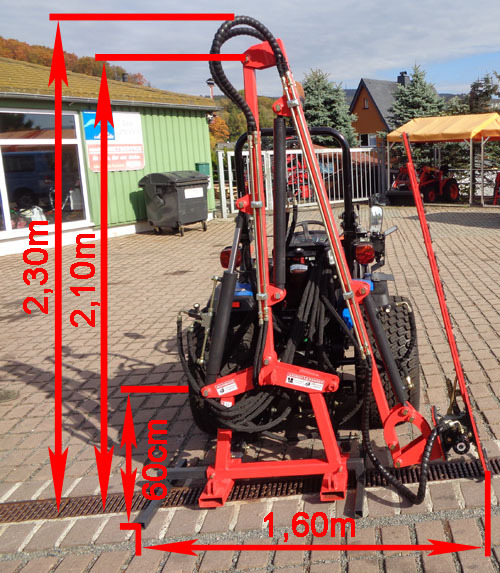 2.320,00 EUR 19 % VAT incl. 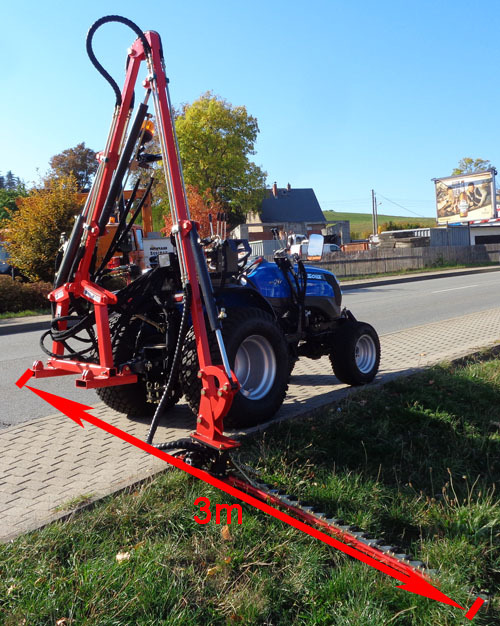 The tractor hedge trimmer / cutter bar is suitable for very small tractors from 15 hp. 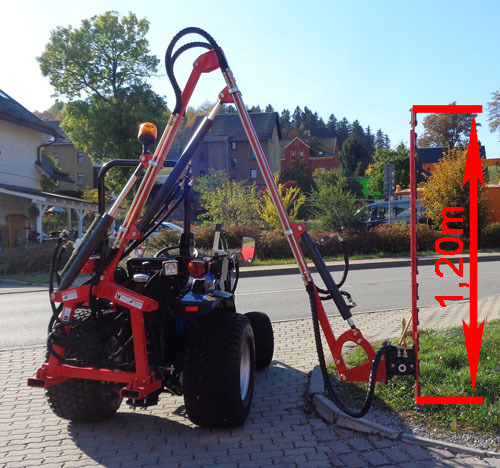 The hedge trimmer is driven by the on-board hydraulics of the tractor. It requires a connection feed and a connection return. 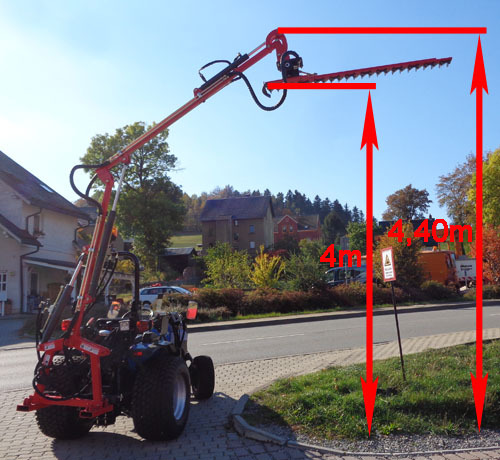 The total weight of the hedge trimmer is only 250 kg. 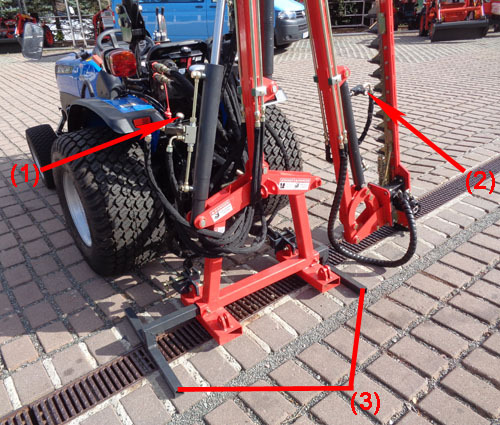 Thus, a small tractor can easily lift and the risk of tipping is low. 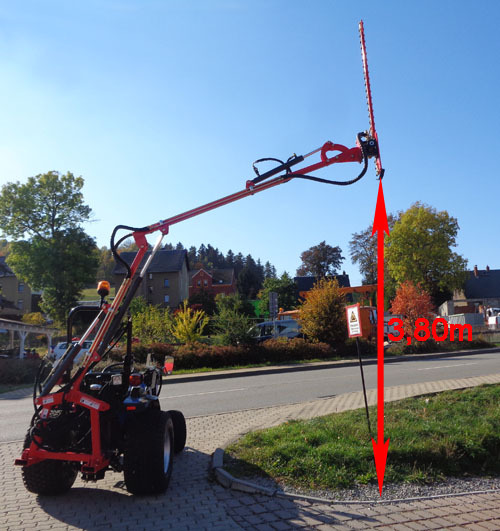 The angle of inclination and the attachment is infinitely adjustable. Before each cylinder is still a control valve built. This is very important to steplessly regulate the lifting speed of the cylinder. This means you can adjust your hedge trimmer arms better and more accurately. This is also related to the pump capacity of your tractor. Below 20 hp, the pumps are smaller. That is, a lower flow rate and thus a slower lifting and a slower working speed. 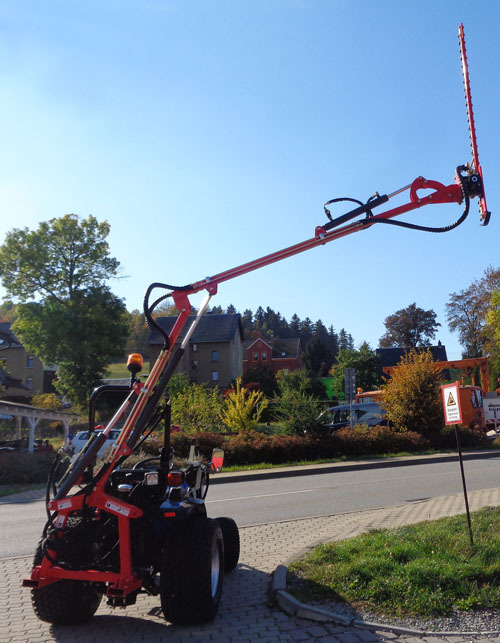 Above 20 hp, the flow rate is greater, so a faster lifting and a faster operating speed. Thus, the valves are important for adjusting your drive and lifting speed on the hedge trimmer. 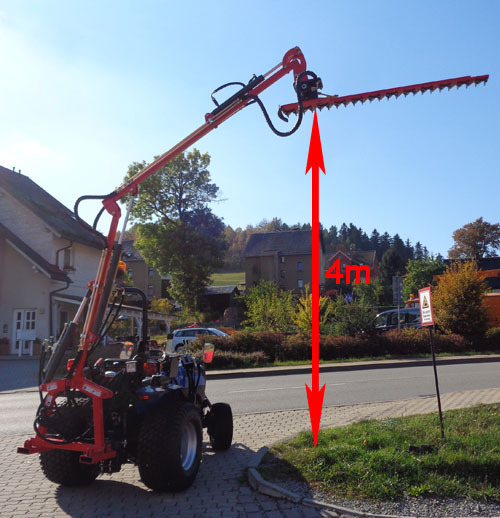 The tractor hedge trimmer is designed for connection to KAT 1 and KAT 2.